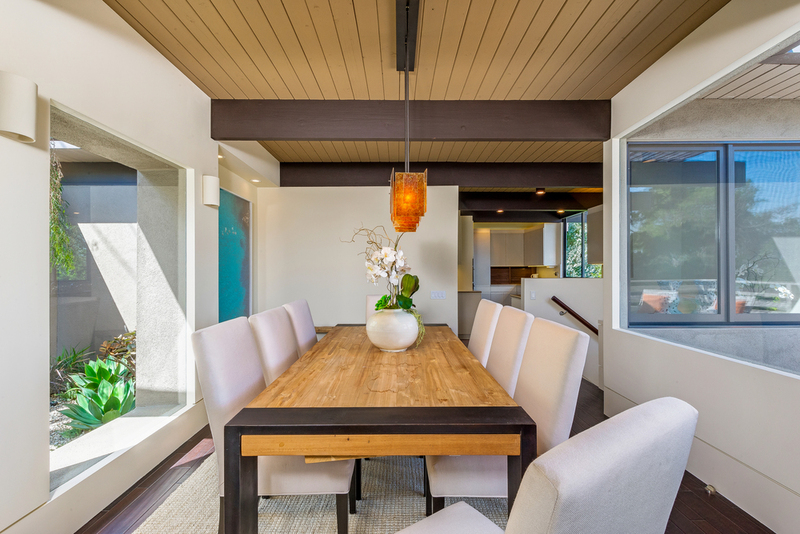 A Contemporary Architectural Masterpiece in the highly sought after Riviera neighborhood of Pacific Palisades. This meticulously designed six bedroom, seven bathroom private retreat features soaring ceilings, open beams, large windows and sliding glass doors which provide an abundance of natural light and seamless transition between indoor and outdoor living spaces. 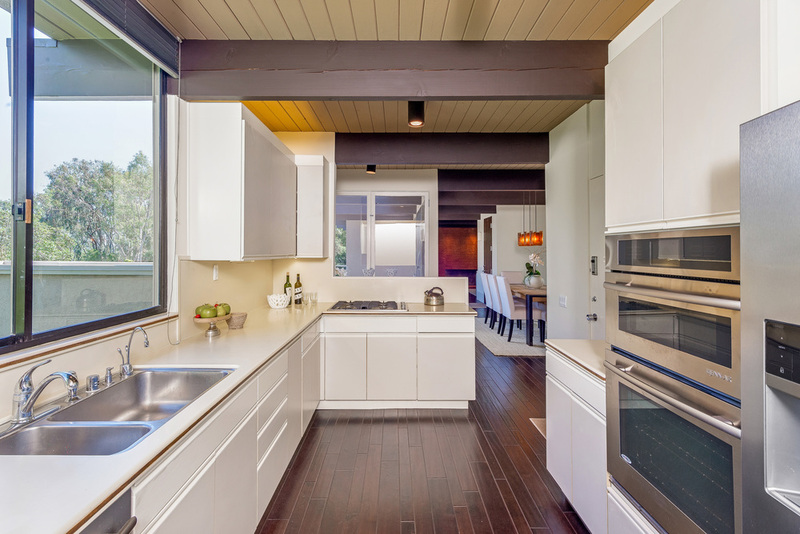 Designed for entertaining, the chef’s kitchen opens into the family room and breakfast area. The luxurious master suite leads out to a private patio with endless views. The two story living room with fireplace opens to a private terrace with an infinity edged pool and breathtaking views of the Riviera Country Club. BRAND NEW Traditional HOME with total privacy in the heart of Brentwood Park. Spacious living room with fireplace, formal dining room with butler’s pantry, study with built-ins and bar. Gourmet chef’s kitchen with breakfast area opening to a large family room with fireplace and oversized sliding doors leading to the private outdoor entertaining area, complete with pool, spa and outdoor BBQ. Upstairs master suite with separate sitting area, his and hers bathrooms and two large walk in closets. There are three other bedrooms upstairs and a family room. 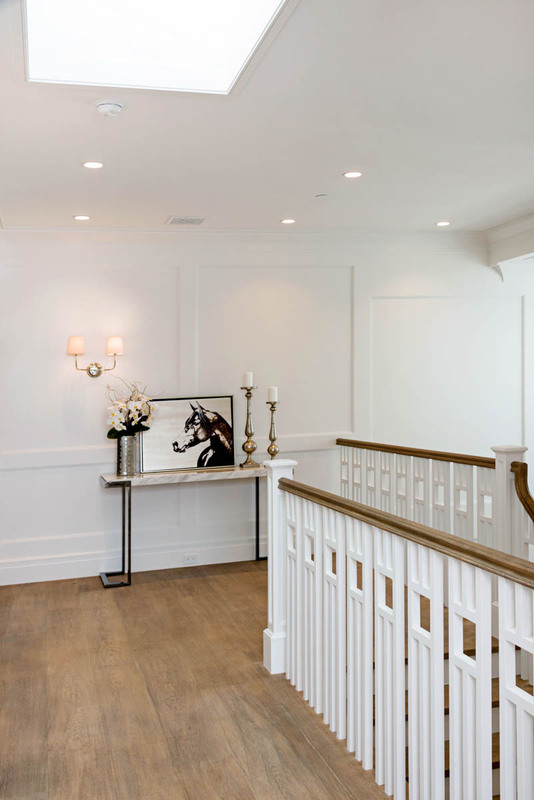 Downstairs basement level features a screening room, gym and family room with full bar and temperature controlled walk in wine cellar, maid’s room and guest suitE. Designed and developed by ken ungar. 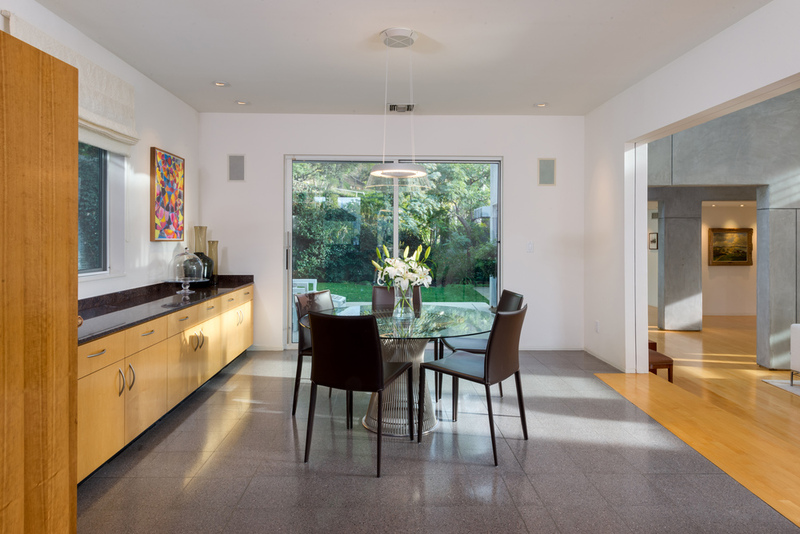 This classic Mid-century Traditional home in Prime Riviera features 4 bedrooms and 4 baths. The spacious living room and formal dining room are perfect for entertaining. The cook's kitchen is complete with a cozy breakfast area. The family room has a fireplace and hardwood floors which open to a private backyard with pool. East Coast Traditional filled with natural light and treetop views featuring 5 bedrooms, 6 bathrooms with maid’s quarters. Elegant living room with fireplace, dining room with pantry and wine room. Perfect for intimate and large scale entertaining. Large wood paneled library. Gourmet kitchen with breakfast area. Spacious and sun filled family room with French doors leading to expansive patio and outdoor fire place. Family room upstairs with four additional suites. Luxurious master suite with separate sitting areas and views. Pool and Spa in private setting and sports court. The Perfect family home. Architectural masterpiece in highly coveted Rustic Canyon with soaring treetop views. This meticulously designed five bedroom, six bathroom private retreat combines the perfect use of woods, glass and concrete. 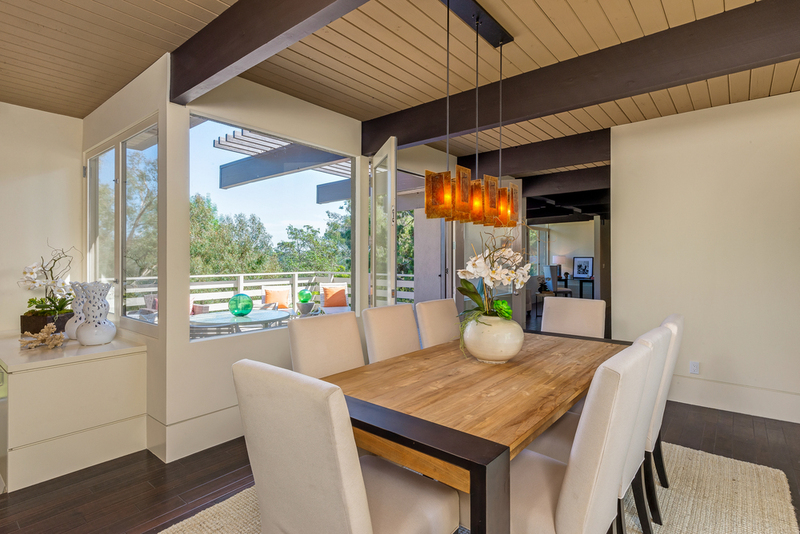 Soaring ceilings, open beams, large windows and sliding glass doors provide an abundance of natural light and seamless transition between indoor and outdoor living spaces. 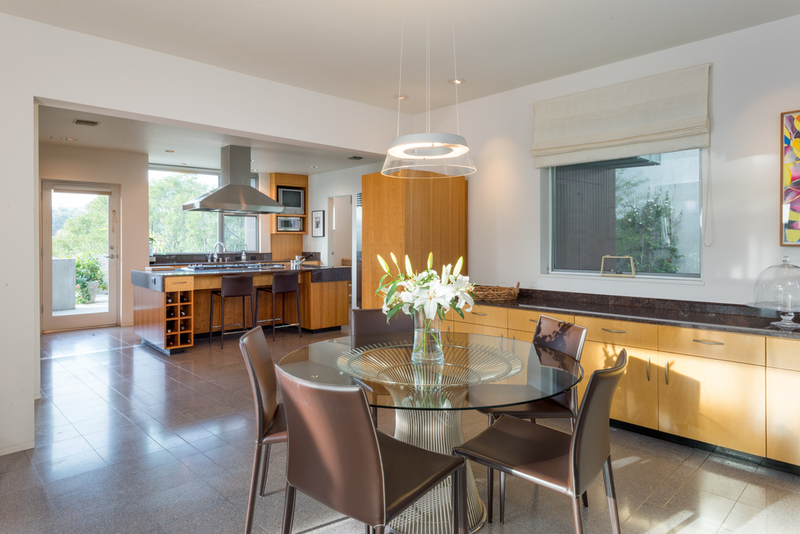 Designed for entertaining, the chef's kitchen opens into the breakfast room. The two story living room with fireplace and large dining room opens to a private terrace with breathtaking views of the canyon. The luxurious master suite with fireplace leads out to a private patio with views. This dramatic home with private pool and spa offers an amazing opportunity to live the canyon lifestyle. This 1920s country English estate featuring 6 bedrooms and 5.5 bathrooms situated on approx. 16380 ft. on park like grounds. Spacious living room with fireplace, hand crafted hard woods, beamed ceilings, fireplaces, authentic tiles and original hardware gives this home charm and character. Large family room with French doors which lead to a brick patio, private garden and pool. Perfect for outdoor entertaining. Walking distance to Brentwood Country Mart. This eight bedroom, 11 bathroom property features city views throughout the interior and exterior of the property and a spacious guest house. The master suite contains his and hers baths, walk-in closets and a morning bar. Meticulous attention to detail with custom millwork, cabinets and stonework throughout. The property features a large screening room, gym, wine cellar, elevator, pool, fire pit and covered four car garage. Elegant new 2012 traditional with cutting edge, warm contemporary design in Prime Riviera. This home offers countless amenities, with impeccable attention to detail, open floor plan and breathtaking views of the canyon. This one of a kind estate offers 6 bedrooms, 7 baths (including a maid’s quarters with full bath), with high ceilings and beautiful wide plank french oak floors throughout. Spacious living room with linear fireplace set in a wall of travertine. Formal dining room with old world beams and an 800 bottle refrigerated wine room. Large entertainment room with stunning bar and separate theater area. 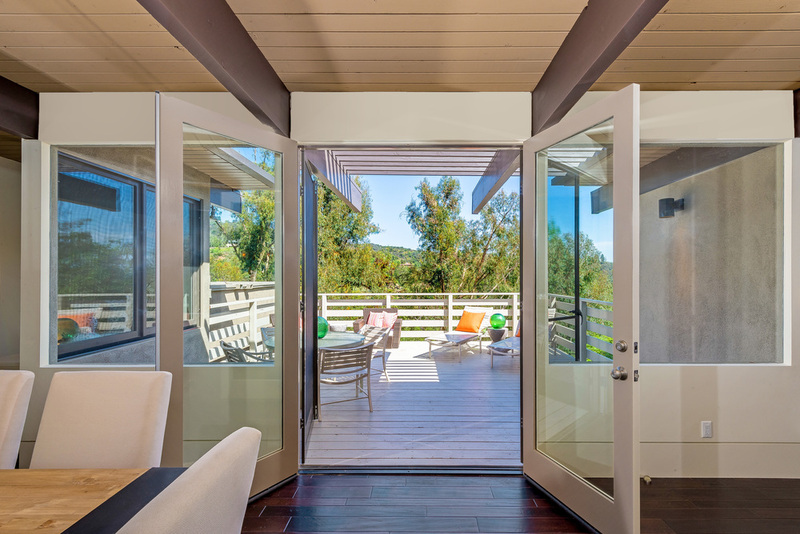 Pocket doors create a seamless transition between exterior and interior space. Gourmet kitchen features Miele appliances, breakfast area and spacious family room opening to a large private backyard with expansive canyon views. Beautifully landscaped garden, BBQ, large infinity pool and spa, in an intimate setting, perfect for indoor and outdoor entertaining. Upstairs features a luxurious master suite with linear fireplace, separate sitting room, balcony, amazing bathroom suite and a spacious walnut walk-in closet with a center island, all of which are oriented to capture the spectacular views. 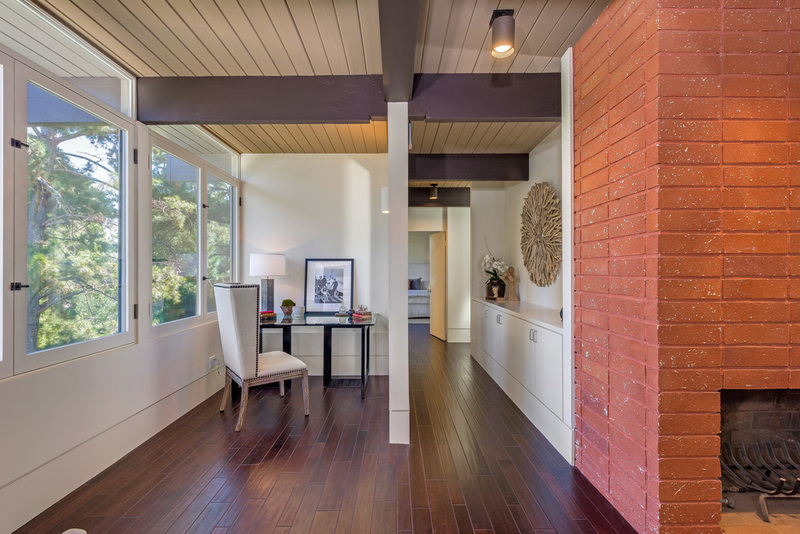 The home also offers an upstairs family room and four additional bedroom suites with vaulted beamed ceilings. This brand new Traditional Estate offers formality, taste, and superb sweeping mountain views. This home features 6 beds, 8.5 baths including maids all with custom detailing, high ceilings & hardwood floors throughout. Spacious Living Room with fireplace, Formal Dining Room with butler’s pantry and great family room opening up to the backyard. Gourmet kitchen features top of the line appliances with great breakfast room opening up to family room creating an exceptional feeling of openness with abundant natural light. Upstairs offers a large family room & 4 additional bedroom suites. 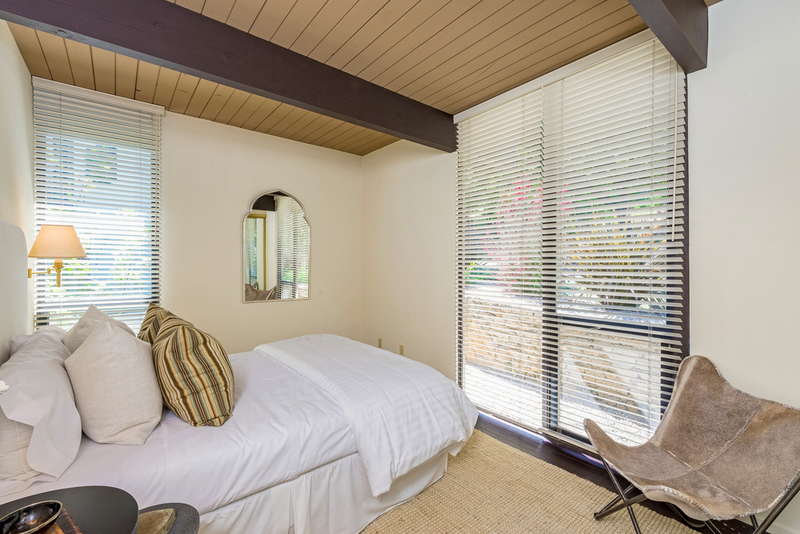 Luxurious & intimate master suite with fireplace, separate sitting area or office & balcony. 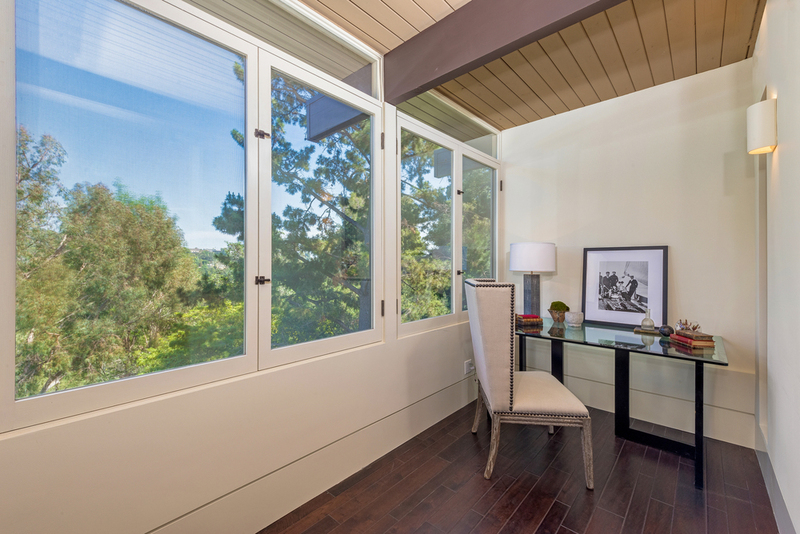 Elegant master bath w dual vanities and great views of the manicured grounds and mountains. The Basement offers a screening room with built in surround sound speakers, large gym, wine cellar, laundry room, recreation room, family room with fireplace. Situated on approx. 22,800 square feet of park-like grounds, a cabana with outdoor fireplace overlooking sweeping panoramic views of the canyon, Pool, Spa and BBQ, this house provides a feeling of peace and serenity that makes this truly a unique property. Custom Spanish Colonial Revival home. Evokes the romantic feel of California’s golden age of architecture with nuances of European splendor. Designed by acclaimed artisan designer, Kevin A. Clark the design and detail of the home is extraordinary throughout bringing you right back to the time period of the true Spanish Colonial Estates. The vintage feel is swept throughout this pristine home with hardwood floors, gracious arching detailed hallways, classically framed fireplaces, wood cabinetry, authentic period sconces & light fixtures and expertly tiled bathrooms. Period correct custom bronze door and window hardware. The residence includes a master suite and sitting room overlooking the rear garden and pool, 3 additional bedrooms, staff’s quarters, game room/theater, breakfast room, living, dining and study. A grand kitchen features large center island, exquisite cabinetry, vintage lighting and centers on gorgeous arched French doors to further bring the hearth of the home to an elevated state. Beautifully landscaped private backyard with pool & spa. This new 2012 Ken Ungar traditional offers every amenity with impeccable attention to detail. Family home features 5 bedrooms, 5.75 baths including a maids room, all with custom detailing, crown moldings, high ceilings and wood floors throughout. Large entertaining rooms offer great flow and scale for entertaining. Media room with built in surround sound speakers. Spacious living room with fireplace and a separate office. Formal dining room with butler’s pantry. gourmet kitchen features stainless steel appliances and large breakfast area. Family room with fireplace, wine cellar and multiple French doors. Large backyard features spacious outdoor loggia with BBQ, pool and spa in a private setting. upstairs offers a large family room and three additional bedroom suites. Luxurious master suite with a wood cathedral ceiling, fireplace, separate sitting area, gym, spacious bathroom suite with dual vanities, dual toilet rooms and dual walk-in closets. Once in a lifetime opportunity! Prime Huntington Palisades on rare double lot approximately 28,290 sq/ ft in a park-like setting. Enter this Authentic 1930’s Spanish Estate featuring 6 bedrooms and 6 bathrooms, original charming details and archways throughout. Spacious Living room with vaulted ceilings, fireplace and formal dining room. Kitchen with breakfast room and two down stairs bedrooms all situated around expansive courtyard setting and sun-filled backyard. Four upstairs bedrooms with natural light and tree vista views. The perfect opportunity to own a one of a kind property. Gracious New Traditional, 7bds and 8.5baths which offers formality and every amenity with stunning views. Spacious living room with fire place and elegantly paneled library. Formal dining room with butlers pantry. Gourmet kitchen with breakfast area and family room with French doors that lead out to private patio and garden. Master suite with views and balcony. 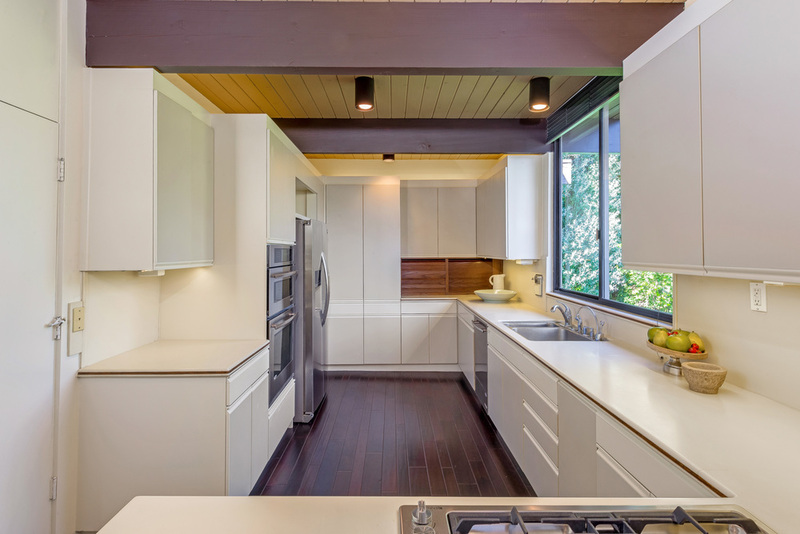 Mid-century home designed by John August Reed, AIA. 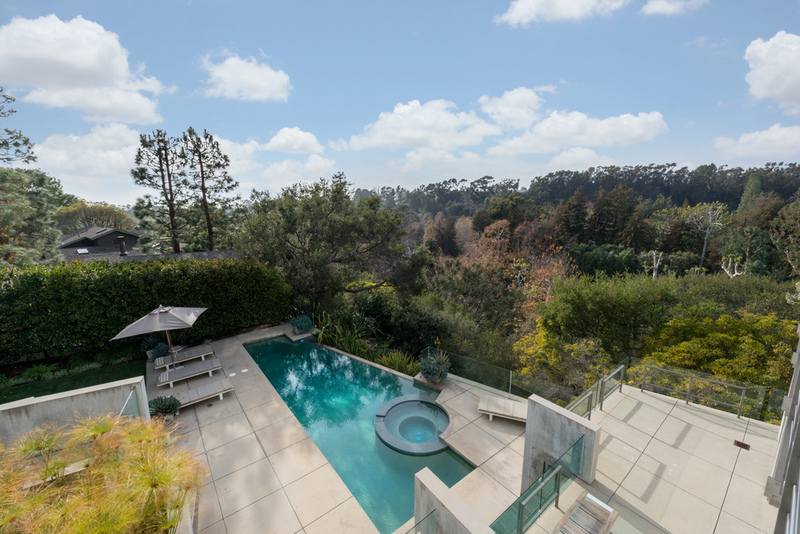 Located on the former Henry Fonda Estate. This almost completely flat 18, 267 sq. ft. lot is located on a very quiet cul de sac in a coveted neighborhood. A rich opportunity to create your new dream home or completely remodel existing home of 3,784 sq. ft. 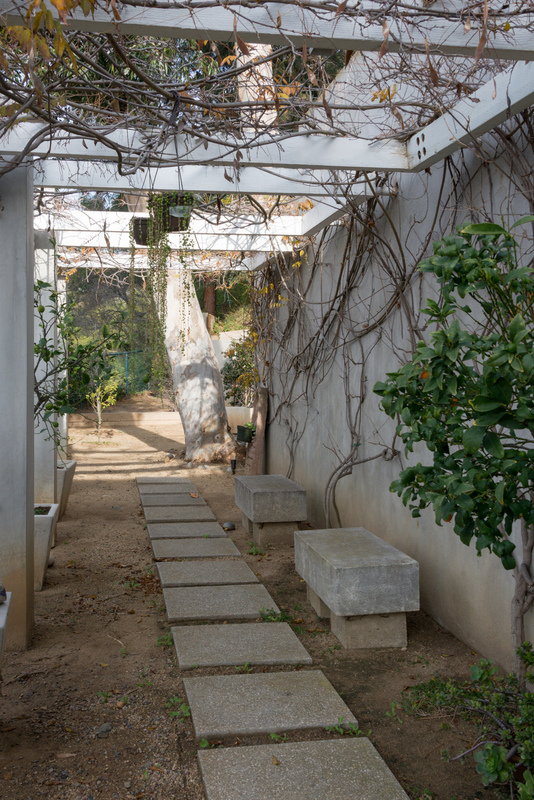 THe property sits on a knoll with views of Mount St. Mary's University, The Getty Museum & beyond. Hints of ocean views from the Master Suite. Feels like you are away from it all. New Gated Traditional in Prime Riviera Palisades featuring 6 bedrooms and 7 bathrooms. Impeccable craftsmanship and detail with dramatic two story entry with paneled walls, hardwood floors, lighting system and molding throughout. Spacious living room with fireplace, formal dining room with butler’s pantry and library with built-in book shelves. Gourmet kitchen with breakfast area, large family room with built-ins and pocket doors which lead to a patio with outdoor fireplace. Spacious master suite with vaulted ceilings, fireplace, sitting room, his and hers closets and elegant master bath. Three other bedrooms upstairs and family room. Downstairs family room, wine cellar, maid’s room, guest suite, large gym with sauna. State of the art screening room with projector, surround sound and bar. Beautifully landscaped private back yard with pool, spa and barbeque. This home is perfect for entertaining. Rare opportunity in one of the most sought after locations in the riviera with city & ocean views. situated on an approx. 22,650 square feet of land. a great OPPORTUNITY to build an unsurpassed estate of dramatic proportions. the residence has 6 bedrooms, 3.5 baths and walls of glass which accent the INDOOR/outdoor feel & highlight the generous views. property features include a north south paddle tennis court, large pool, loggia, mature trees & impeccably manicured grounds all provide privacy and tranquility. A property of rare elegance, this newly built classic Traditional offers exquisite detail, exceptional design, gorgeous gardens and the finest quality craftsmanship. . Great sense of scale with 5 bedrooms, 6.5 baths, lavish bathroom and fitted closets, state-of-the-art screening room, and every possible amenity and comfort for today’s lifestyle. This house features formal entertaining rooms, paneled library, playroom, gym & exceptional cook’s kitchen, family room that opens up to stone patios, large lawn & pool/spa. East Coast Traditional in Prime Huntington Palisades with views featuring 8 bedrooms and 10 bathrooms. Dramatic two story entry with paneled walls, hardwood floors and molding throughout. Spacious living room with fire place and library with built in book shelves. Gourmet Kitchen with breakfast area and family room with butler’s pantry. Spacious master suite with his and hers bathrooms and four other bedrooms upstairs. Downstairs family room, guest suite, gym, wine cellar and screening room with bar. Beautiful back yard, pool, spa and barbecue with ocean and mountain views. Incredible Opportunity in Prime Riviera with Huge Upside Potential! Traditional Home with exceptional panoramic mountain views. The house displays an open floor plan with 4 Bedrooms, 3.5 Baths, a large formal dining room, a spacious living room, and a Den. Large Backyard with pool in an intimate setting, perfect for entertaining. Luxurious Traditional located on the “Riviera Rim” overlooking the fifth fairway of the Riviera Country Club. 5 bedrooms, 6.5 baths, maids room, upstairs family room & library. 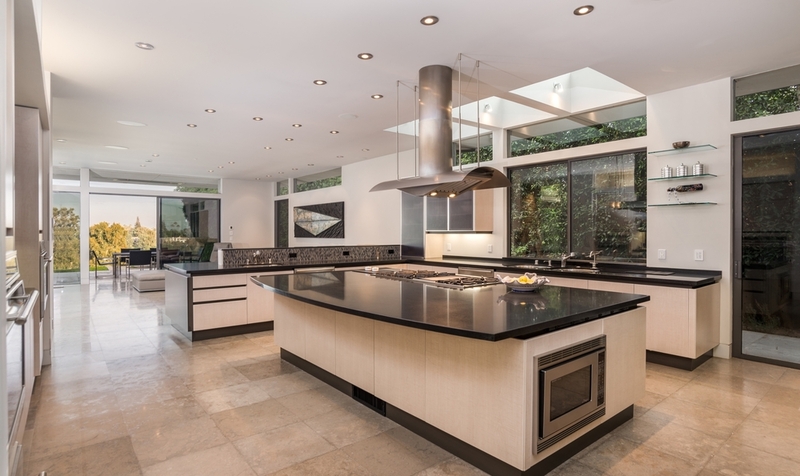 Gourmet kitchen with large family room overlooking private gardens & breathtaking views. Formal dining room & living room with fireplace, hardwood floors & the finest of finishes throughout. 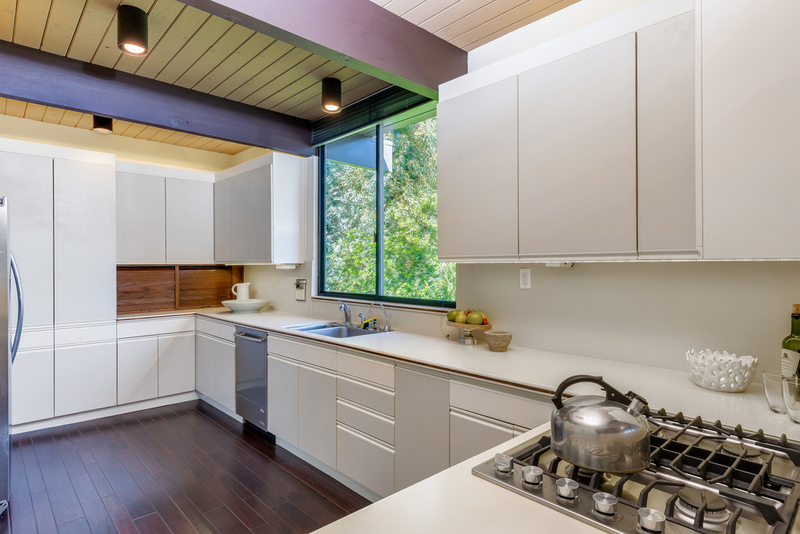 Post and Beam Mid-Century Modern featuring 3 Bedrooms and 2 ¾ bathrooms with treetop mountain views in prime Brentwood location. Beamed ceilings and skylights throughout. Light and bright living room with brick wood-burning fireplace that leads to a large and private deck. 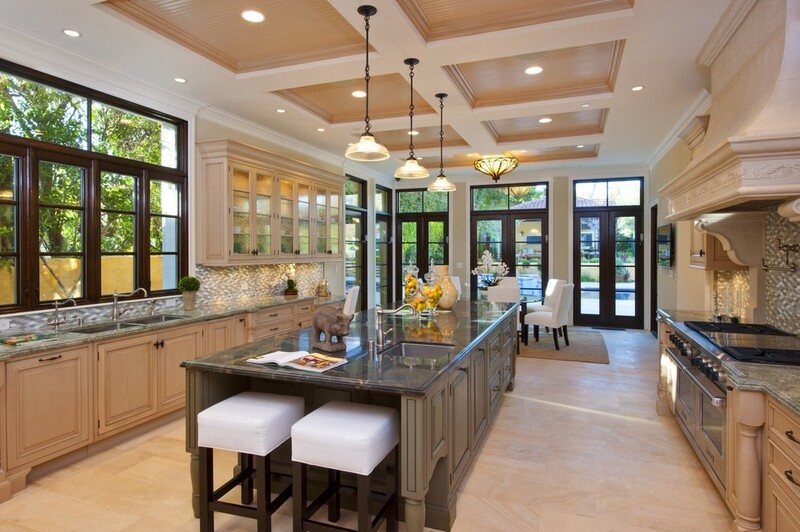 Open dining area and kitchen. Master suite with exceptional views and master bath with double vanities. Additional room downstairs that can function as an office den or bedroom with a private entry. A must see. 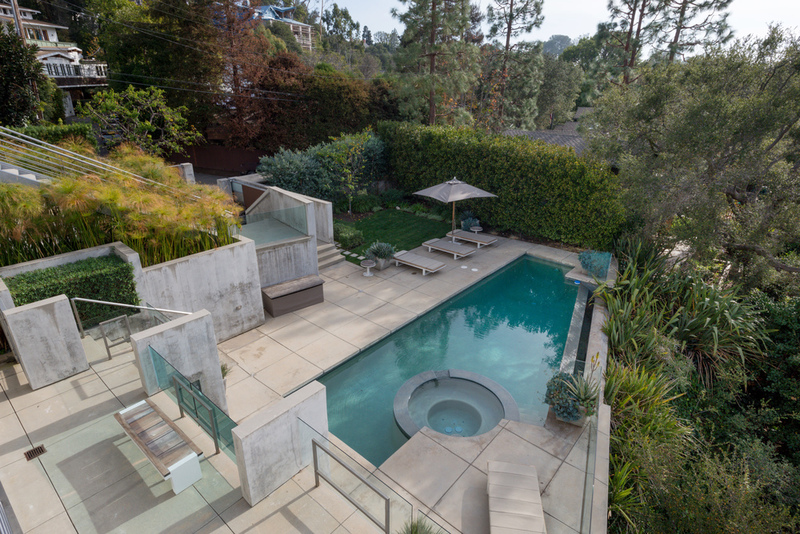 A New Mediterranean estate in coveted Brentwood Park. Gated, this stately property offers grand volume and scale while maintaining intimacy and warmth. Featuring 7 bedrooms + 13 bathrooms. Main level consists of an elegant two story entrance with sculpted circular staircase, three powder rooms, wood paneled library with fireplace, billiard room with fireplace + bar, media room, family room, living room, dining room, center hall, laundry and maids room with full bath and separate entrance. The second story features a large center hall, 4 additional bedroom suites with balconies and a captivating master suite with separate wings for dual bathrooms and closets. Expansive exterior with entertainment terraces, championship N/S Tennis Court with lights, fountains, pool cabana with dual baths and separate changing rooms, outdoor fireplace and pool + spa. Additional features include a detached guest house with fireplace, full kitchen and large living room. A dream home with style and luxury for the most discriminating buyer.